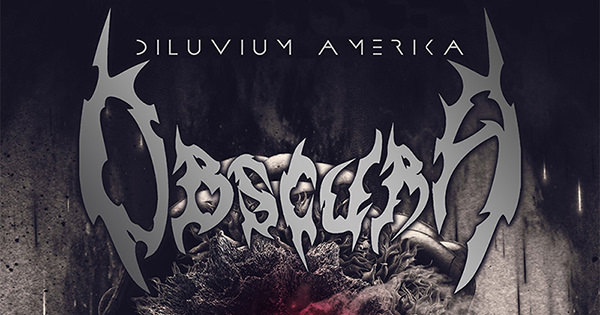 Obscura has announced a North American headlining tour set to take place from mid-September through early October. The band will be joined by Beyond Creation, Archspire, Inferi, and Exist. The full list of tour dates will be announced shortly. Vocalist/guitarist Steffen Kummerer commented on the run: "Obscura finally return to North America with an extended headlining tour supporting our brand new record 'Diluvium' which marks the end of a ten year, four album cycle. With Beyond Creation, Archspire, Inferi and Exist we return to the United States and Canada with the most extreme tour of the year. We can't wait to hit the road again and present you songs off all four records 'Cosmogenesis', 'Omnivium', 'Akroasis' and 'Diluvium'." Gee, good work posting the tour announcement. Completely pointless post without the actual dates. Band licks c-cks anyway.